I'm back again with another card featuring the new Simon Says Stamp February Card Kit! Welcome back! 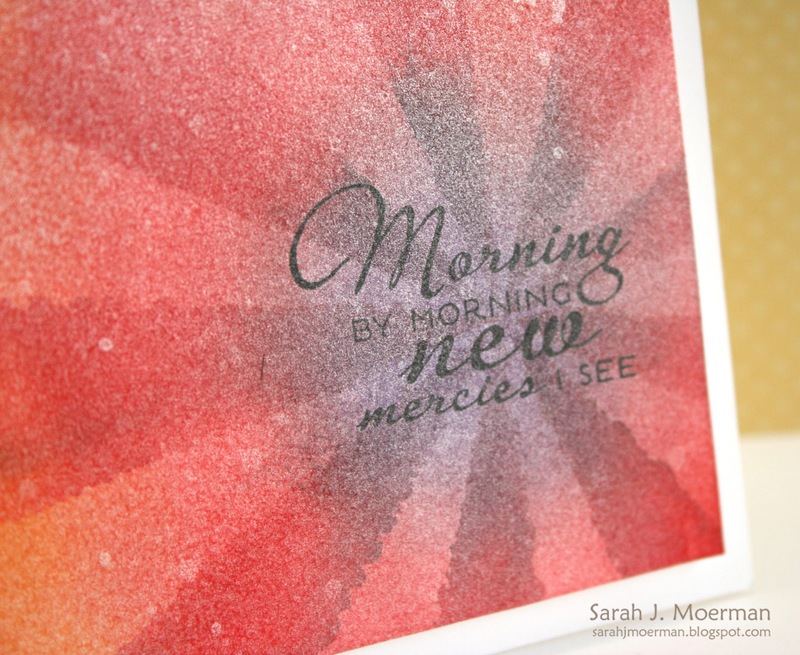 Today I'm sharing a card for this week's Simon Says Stamp Challenge!!! This week's challenge is a favourite: Anything Goes! The design team is using products from Penny Black. I love that they have stamps that fit so many different styles. I white heat embossed the Penny Black Retro Pattern background stamp and cut it down to the size I wanted. Then I colored in the little diamonds with distress markers, and spritzed the whole thing with perfect pearls and water. Finally I used my finger to spread the water around to add subtle color to the open star-shaped pattern. 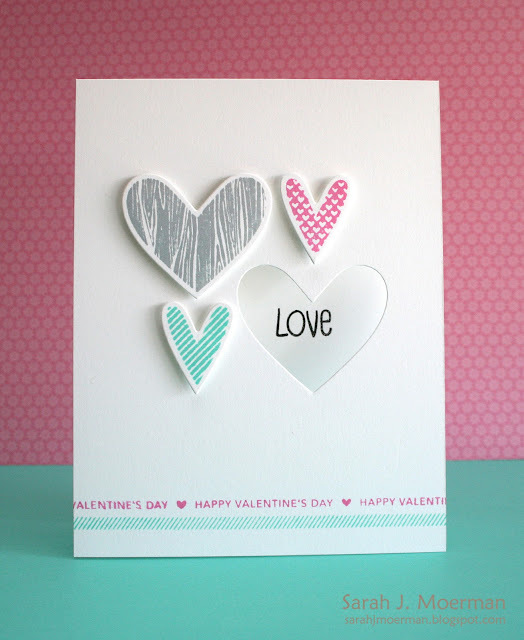 I'm back today with my second card using the Simon Says Stamp February Card Kit: Style of Love. I used the wonderful modern flower in the stamp set and paper pieced it, using foam adhesive between the layers. To create the leaves I inked up one of the subtle patterned papers and die cut it twice with one of the Simon Says Stamp Large Hearts dies. I then used a black marker to define the edges and tucked them behind the flower so the pointy parts stuck out. I try and challenge myself with these kits to not use anything that's not included in the kit other than inks and other tools. All the stamps, papers, and embellishments are included in the kit. I think it forces me to try and be more creative (as with the leaves) and also gives you all a better idea of what you can do with just the kit and a few tools. :) I think the rest of the card is self-explanatory but feel free to send me an email if you have any questions. I hope you'll join me tomorrow for this week's Simon Says Stamp Challenge and again Thursday and Friday to see what else I've created with February's Card Kit. 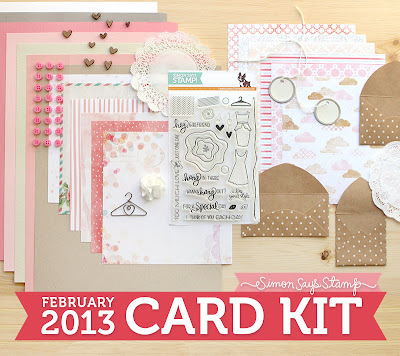 Remember to comment on my Card Kit posts because sweet Heidi has generously given me a February Card Kit to give away! February is quickly approaching and that means that it's time to share the new Simon Says Stamp February Card Kit: Style of Love! This month's kit is gorgeous! The stamp set is so sweet, the papers beautiful, and the embellishments coordinate perfectly. 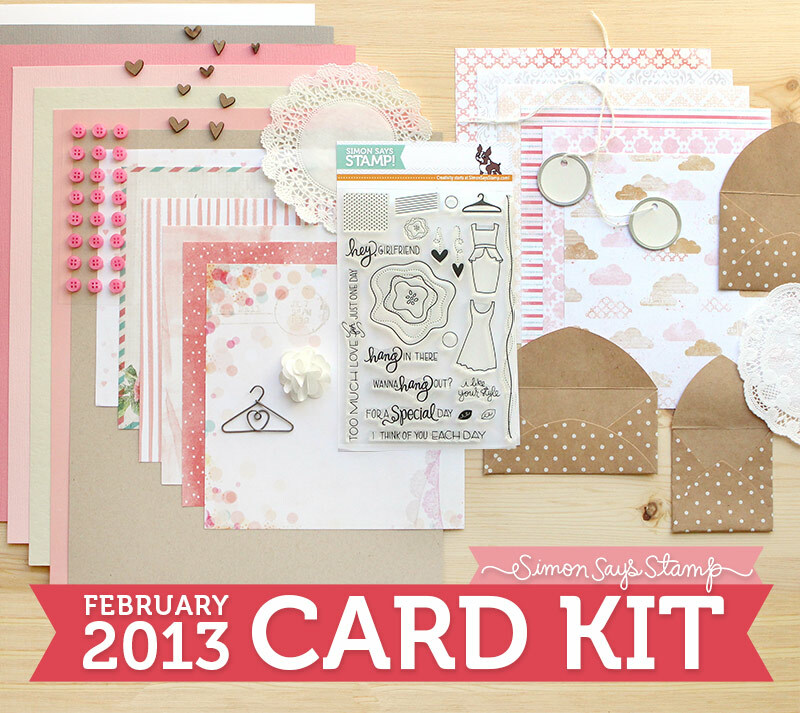 Speaking of the embellishments, this month's kit is packed with them! Yay! I'll be sharing cards I made using the "Style of Love" kit throughout the week. Next Monday (February 4th) I'll announce one winner from all the comments left on my 4 posts to win one of the February Card Kits for themselves. Thanks Heidi for being so generous! I started out with the wonderful postal-themed paper and let that direct me, adding the polka dot envelop and using three of the stamps in the set to create a "postage stamp". I thought the sentiment worked well and that an extra special message could be added inside the envelop. I cut the tie off the tag string and used the string to tie a bow on the tag. A couple of mini hearts finished things off. I hope you'll stop by tomorrow to see another card using the Simon Says Stamp February Card Kit. 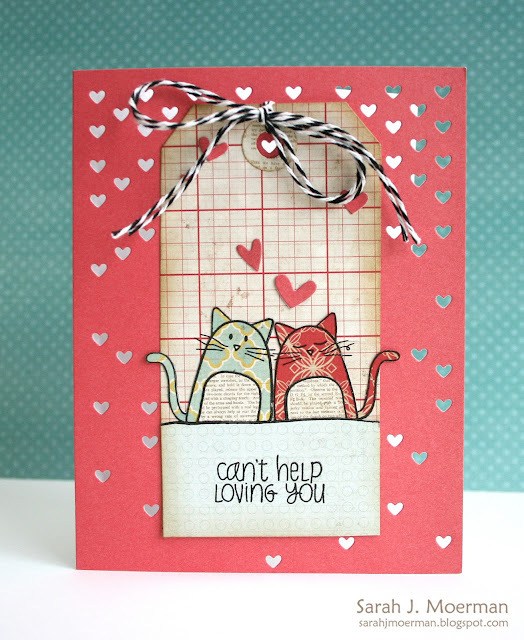 Simon Says Stamp Valentine's Day Blog Hop and Giveaway! Love is in the air! 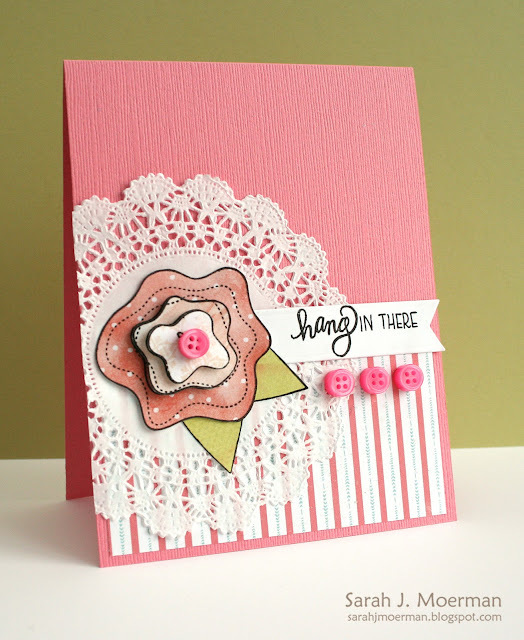 Welcome to the Simon Says Stamp Valentine's Day Blog Hop! This is the time of year when our focus turns to making special cards and projects for those who are nearest and dearest to our hearts. 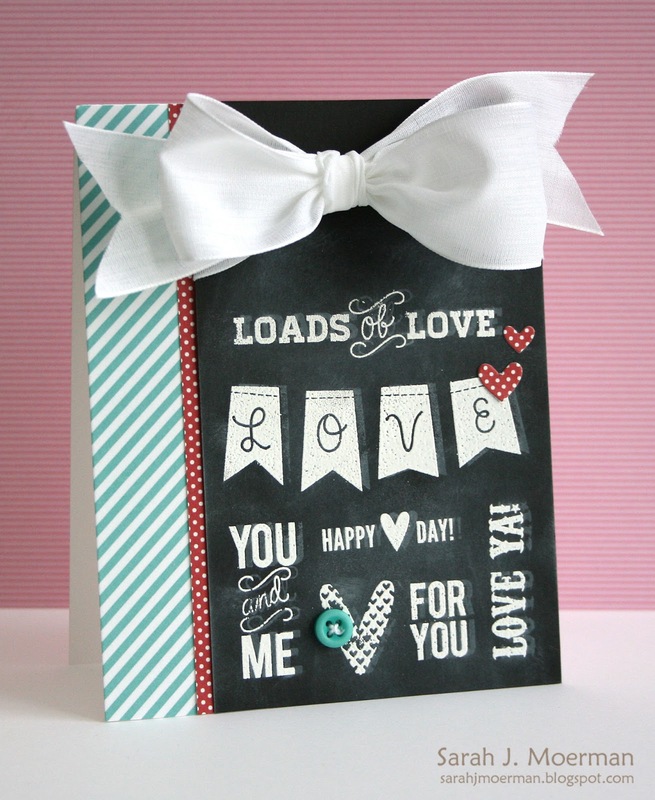 Simon Says Stamp has released some fabulous 2013 Valentine's Day stamps and dies to help create these projects. If you are just joining us please start the hop at the Simon Says Stamp Blog. If you've been following along you should have arrived from the amazingly talented Nichol Magouirk's blog. 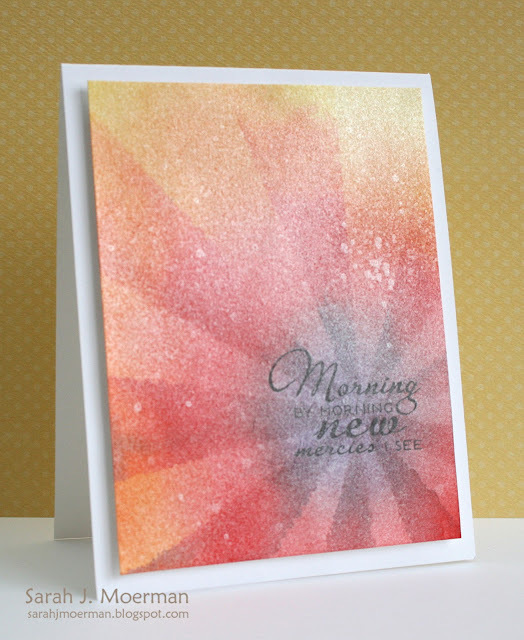 For today's blog hop I've created 2 cards. 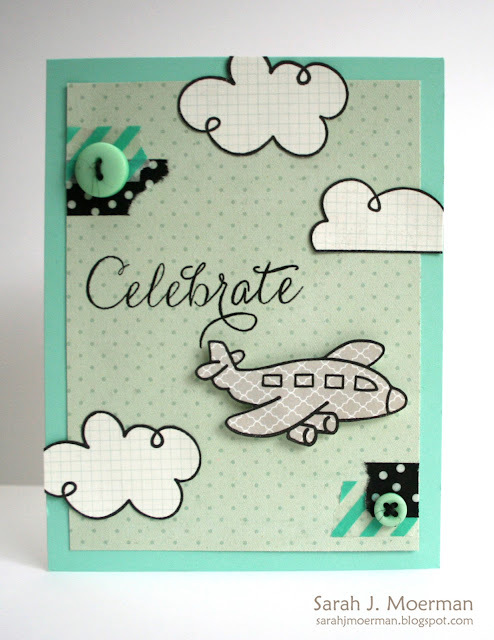 (For a bonus project check out my Simon Says Stamp Challenge post for today which is found just below this one). I've really been wanting to try the chalkboard technique that seems to be all the rage these days and thought a number of the new Simon Says Stamp Valentine's Day stamps would work perfectly for this. I followed Betsy Veldman's tutorial found HERE. 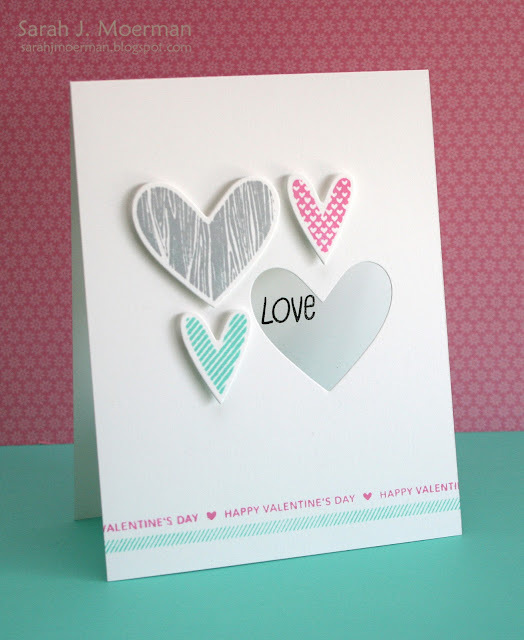 For my second card I focused one using the new Lots of Hearts stamp set with the coordinating Large Hearts dies to create a fun clean and simple window card. And now to the giveaway part! Just leave a comment on this blog post and one lucky winner will receive a Simon Goodie Bag (if you know Heidi, it will be a good one!). We will draw the winner on Thursday morning 1/31/13 at 9:00 AM EST. so be sure to leave your comment by then. Thanks for visiting! 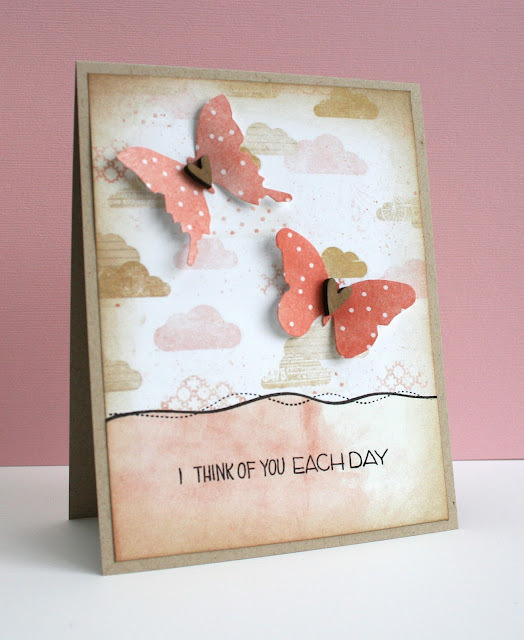 The next stop in the Simon Says Stamp Valentine’s Day Blog Hop is the amazing Debby Hughes. If while hopping, you encounter a broken link, you can go back to the beginning for links to everyone who is participating in the hop. 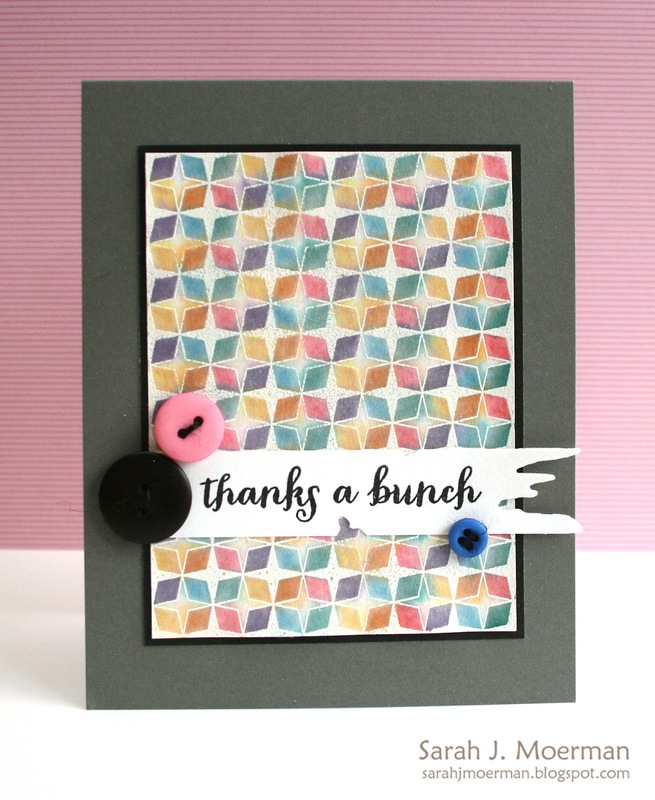 I'm here to share a card for this week's Simon Says Stamp Challenge!!! This week's challenge is to incorporate paper piecing into your project. The design team is showcasing papers from Lily Bee Design. 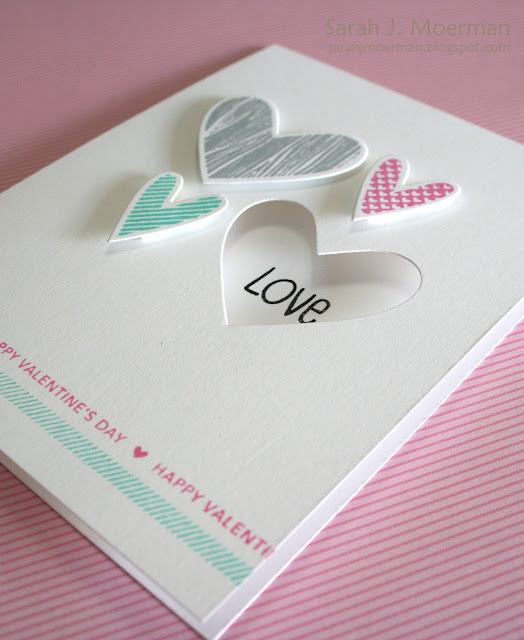 Here's my card which also features 3 new Simon Says Stamp Exclusive Valentine's products. (Please check out my post immediately following this one to see more cards featuring new Simon Says Stamp Exclusive Valentine's goodies). 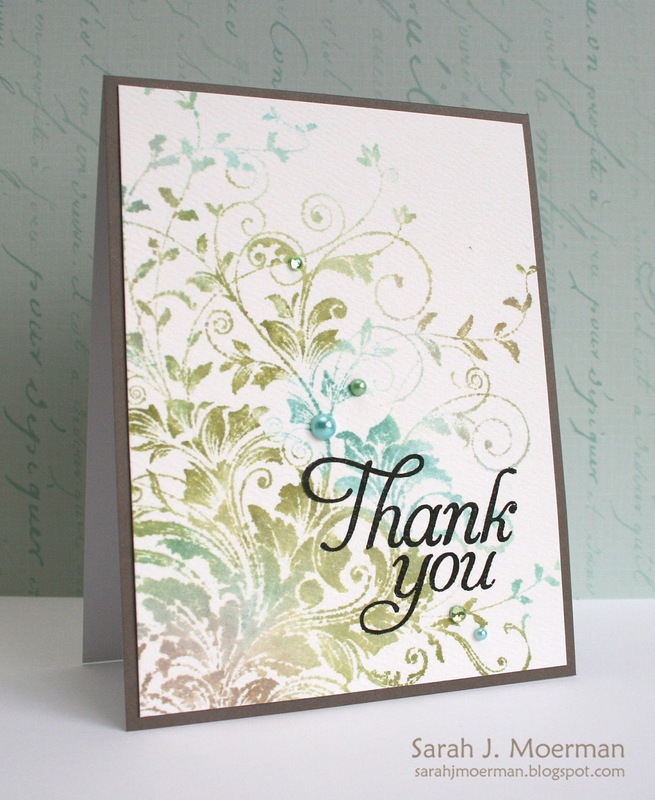 Popping in real quick to say thank you so much for all your wonderful comments with the Hero Hostess Blog Hop. I appreciate each and every one! Beautiful cards! Really love how you mixed the colors on the first one! Welcome to the Hero Arts Hostess Blog Hop! We're featuring some of the fabulous new 2013 stamps just released by Hero Arts. You should be arriving here from the talented Sharon Dunn's flickr page. If you find a broken link or are just joining us, you'll find a master list of the hop links at the Hero Club Blog. Also, please report broken links to Tami. Hero Arts will be awarding prizes from randomly drawn comments. For a chance to win, simply comment on ANY of the stops along the hop on ANY day this week (Monday to Friday), including each day’s starting post at the Hero Club Blog. The more comments you leave, the better your chance of winning! I took the New Hero Arts Leafy Vines Cling Stamp and inked it up with various distress inks, gave it a spritz with water/Perfect Pearls, and stamped it onto watercolor paper. 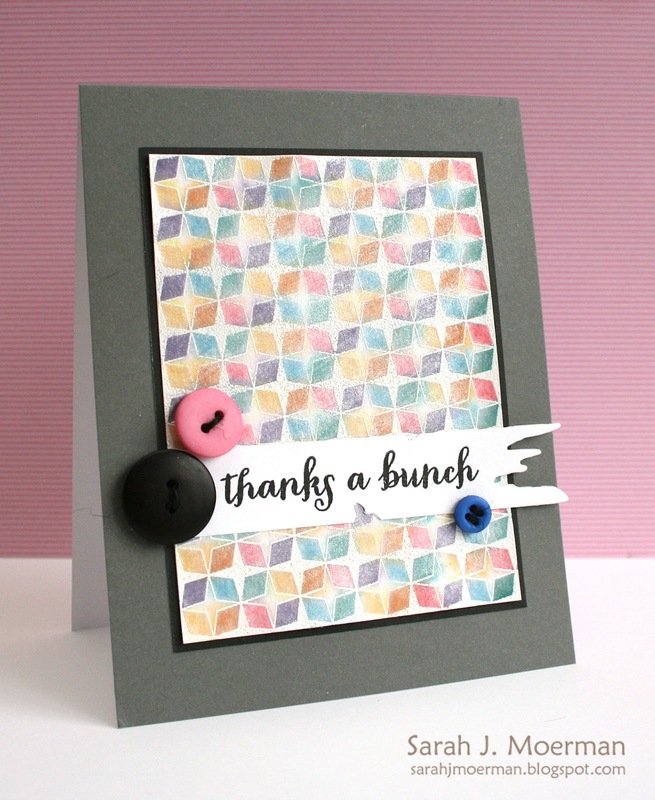 After heat setting the image I stamped the Thank You sentiment from the new Fancy Basics Clear Set, and added some gems and pearls. For this card, I stamped the new Tweed Pattern Background Stamp on my notecard. On a piece cut from a new Charcoal notecard, I stamped the Conversation Background using the new Charcoal Mid-tone Dye Ink. I then stamped various 'thanks' and 'thank you' stamps from the new Thanks a Bunch Clear Set in the word bubbles using the same ink. The 'thank you for everything' stamp is from the new So Kind Clear Set. Before I go I want to offer up a little something to one commenter on this post. I'll randomly draw one person to win one new 2013 Hero Arts clear or cling set of their choice. I'll post the winner on Tuesday, January 22nd (my son's 10th birthday)! :) I'll order the winner's prize through Simon Says Stamp and have it shipped directly to them. Sound good? Thank you so much for stopping by! Your next stop on the Hero Arts Hostess Blog Hop is the wonderful Anita Recksiedler's blog. Amazing card Sarah! Love how you created the background! Fabulous!! Congrats, Melissa! Please email me you shipping info and I'll pass it on to Paper Crafts! On to this week's Simon Says Stamp Challenge!!! This week's challenge is a fun one...to use washi tape! I used some strips of fun washi tape to embellish this card that also features some cute Lawn Fawn stamps and a Hero Arts sentiment. Thanks so much for stopping by! I hope you'll pop by tomorrow too for a fun blog hop! 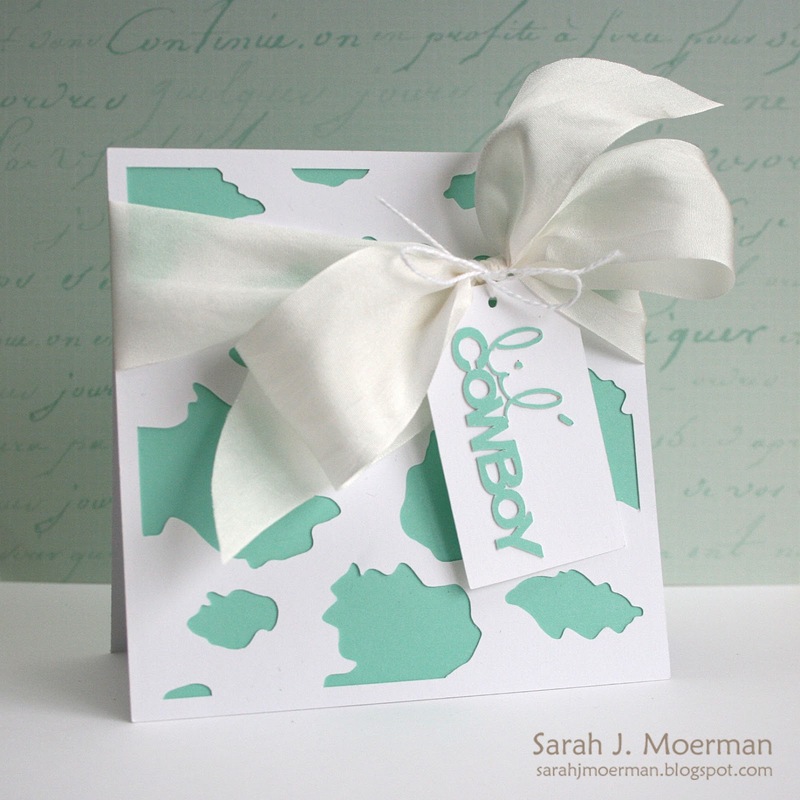 Welcome to the Paper Crafts 75 Creative Card Challenges Blog Hop! I inked up the Hero Arts Starburst stamp with distress inks, spritzed it with water and stamped it onto white cardstock. I heat set the image and then used the same colors with an ink blending tool to fill in the white space. I then spritzed the panel with Vanilla Shimmer Spray and heat set it again before stamping my sentiment. Finally I added the panel to my card base using foam adhesive. I can't wait to see what everyone else came up with! If you're just joining us please start HERE. If you're hopping along in order your next stop is the fabulous Amber Kemp-Gerstel. Sarah J. Moerman <---- YOU ARE HERE!!! 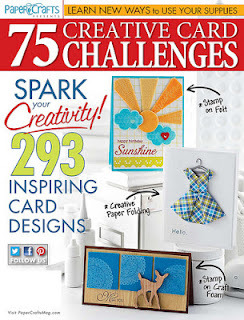 Last but not least, Paper Crafts is giving me a copy of the 75 Creative Card Challenges issue to giveaway! Just leave a comment on this post by Tuesday, January 15th at 11:59 pm for your chance to win! Before I get to my card I quickly want to share that the wonderful woodgrain cardstock that comes with the Simon Says Stamp January Card Kit is now available separately HERE!! Whoot whoot!You can see the cards I made using it HERE and HERE. Ok. Back to this week's Simon Says Stamp Challenge! This week's challenge is to make a project using black, white, and a splash of colour.The design team is using products from C.C. Designs. Thanks so much for stopping by! Please stop by again Friday for a special blog hop! Super quick post today as I have to get teaching those kids of mine. :) Just wanted to give you a heads up that another one of my cards from Paper Crafts 75 Creative Card Challenges is featured on Moxie Fab World today. You can check it out HERE. 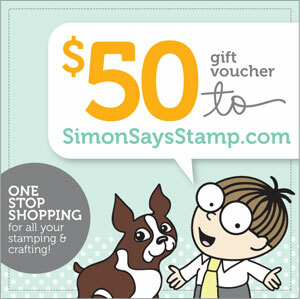 I'll be back tomorrow with a new Simon Says Stamp Challenge card. Happy New Year! I hope 2013 has started off well for you! 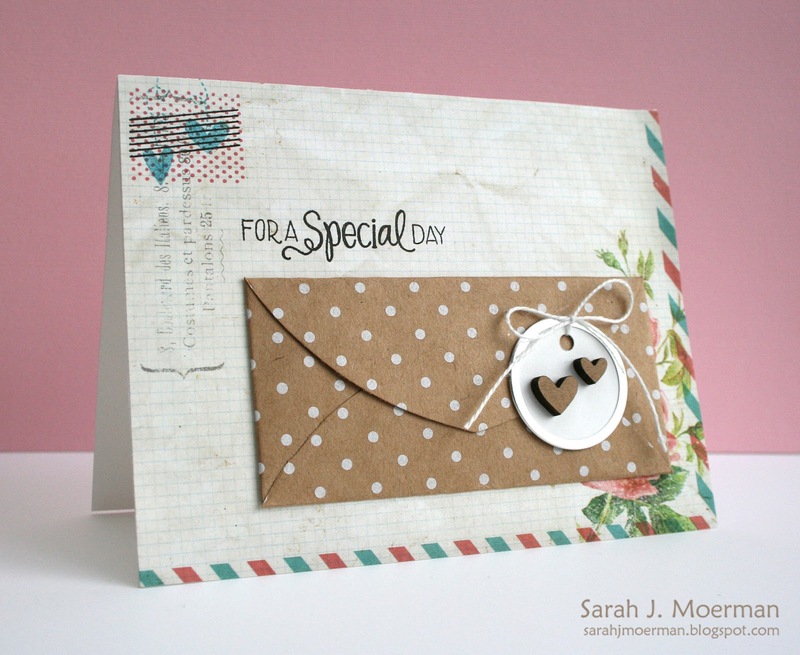 I'm back to share a card for this week's Simon Says Stamp Challenge!!! I used my Silhouette die cut machine to cut the cowhide background, the tag, AND the sentiment.